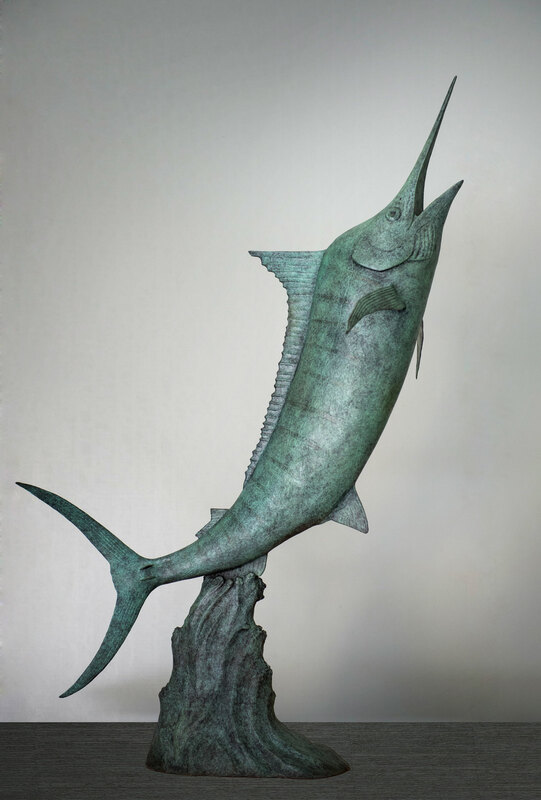 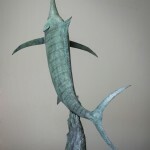 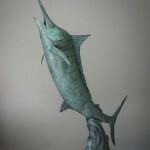 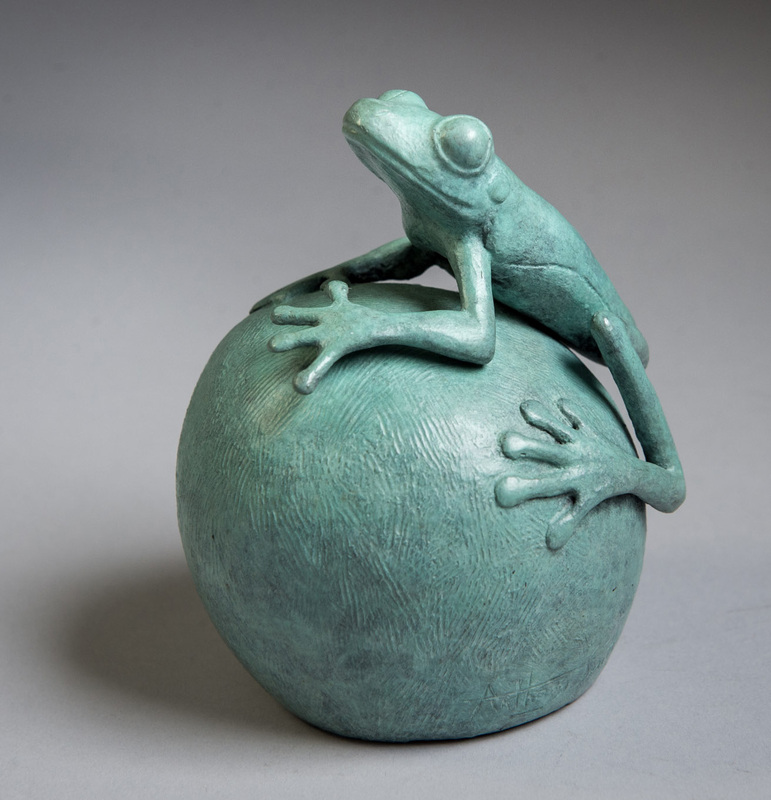 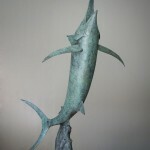 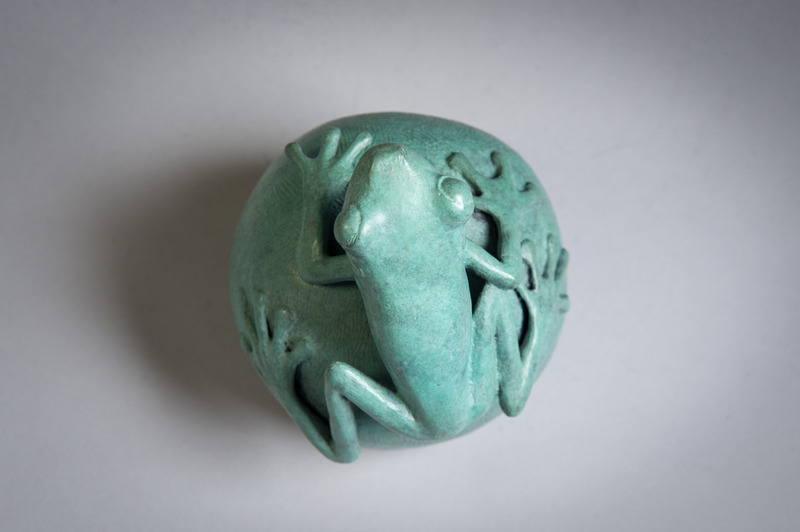 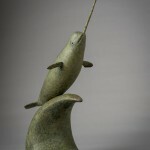 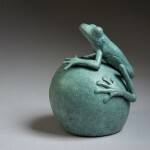 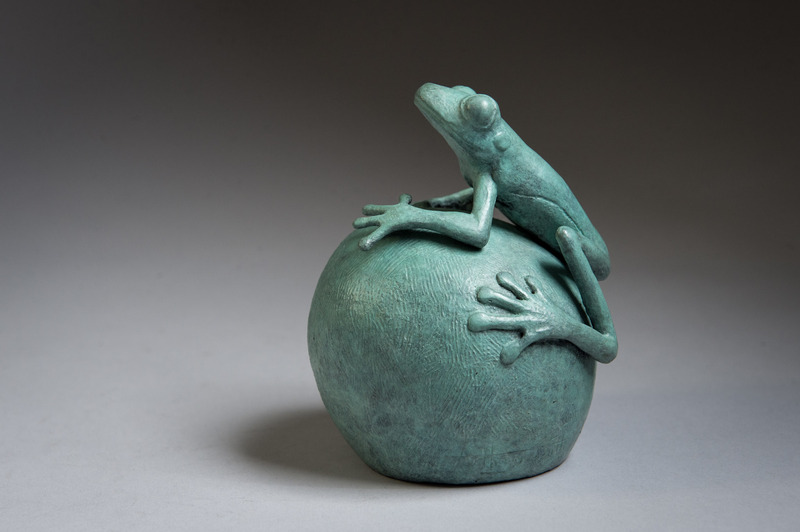 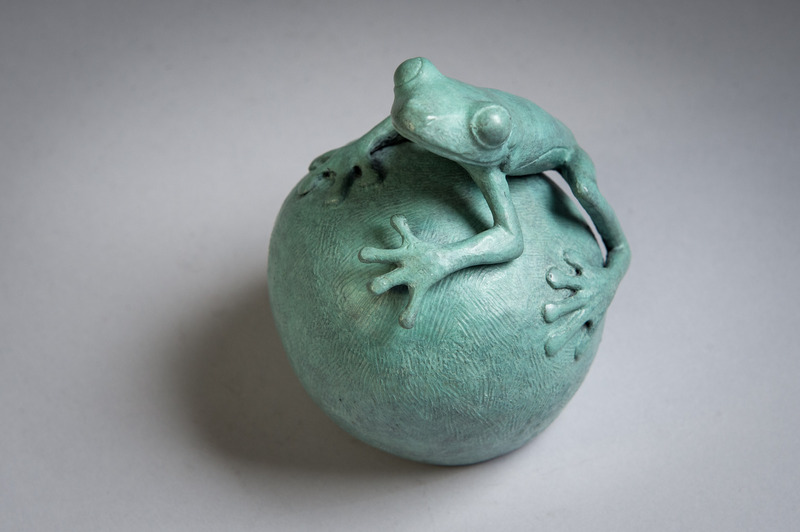 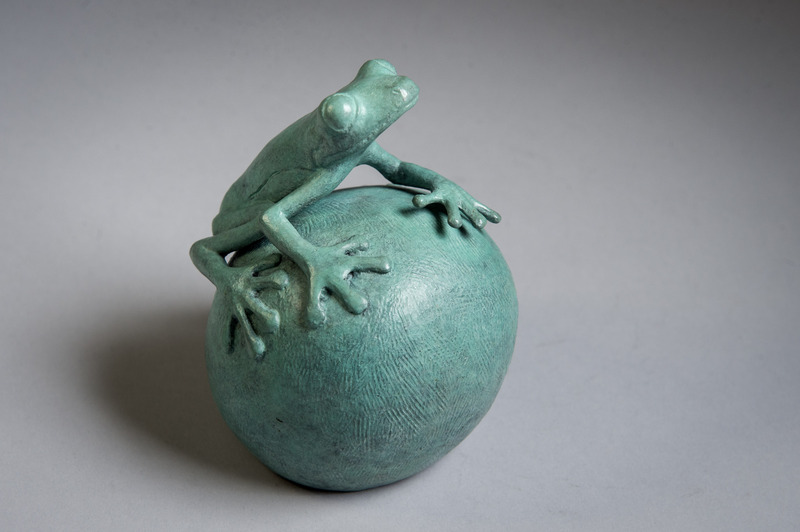 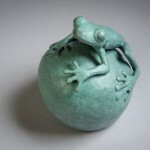 Sculptures can be shipped world wide at cost. 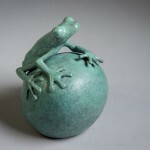 Please note, there is no VAT due on exports outside the EU. 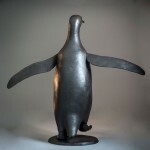 Click here to enquire about availability or to place an order. 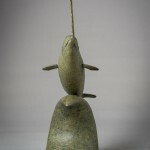 Photo by Anthony Smith, Grytviken, South Georgia. 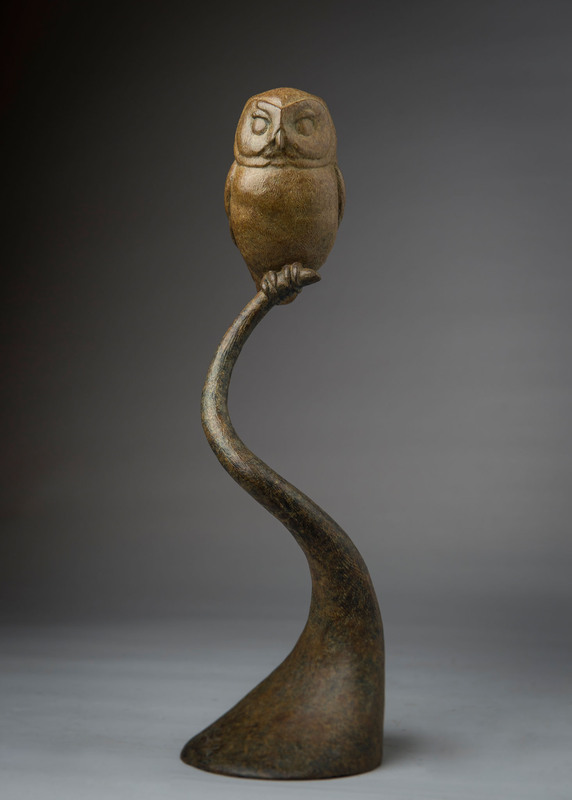 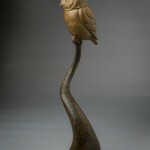 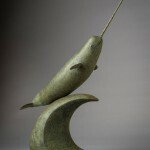 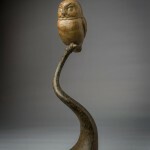 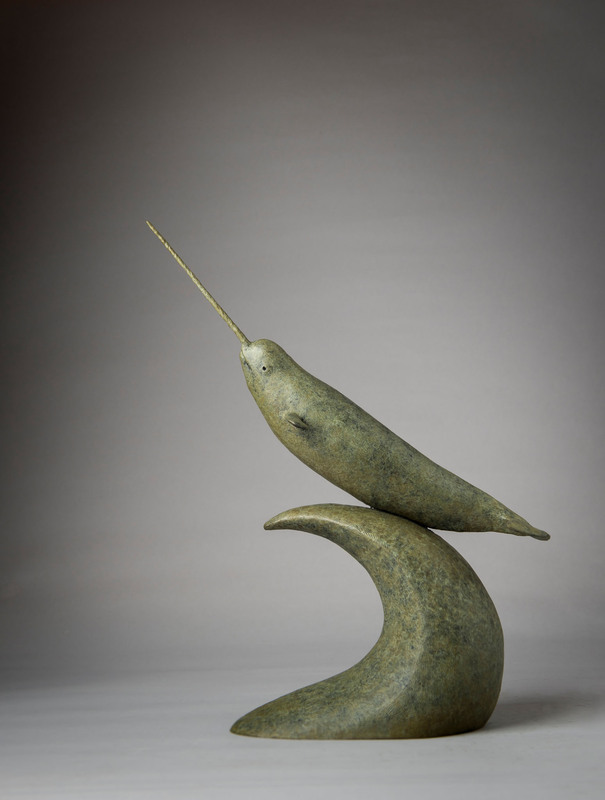 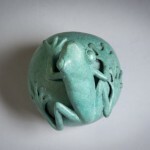 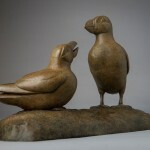 This sculpture can also be purchased as part of ‘Puffin Pair’. 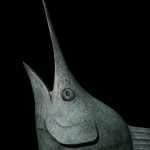 Photo by Anthony Smith taken in Costa Rica. 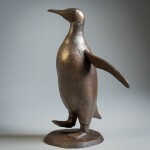 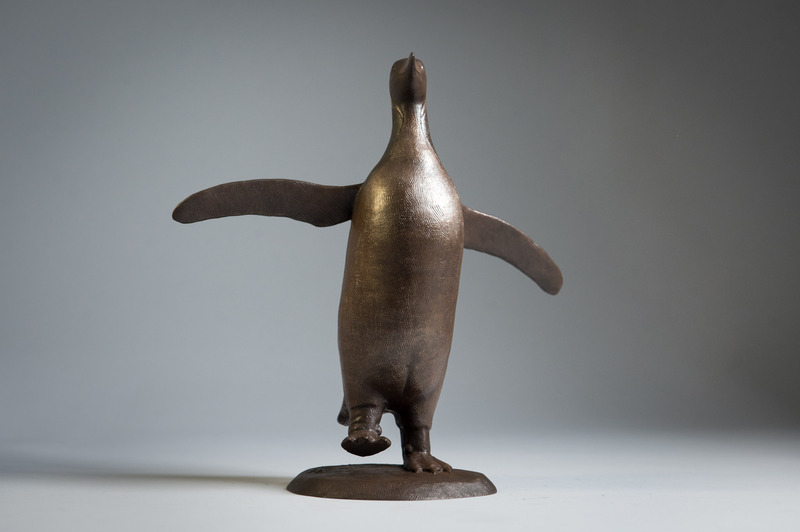 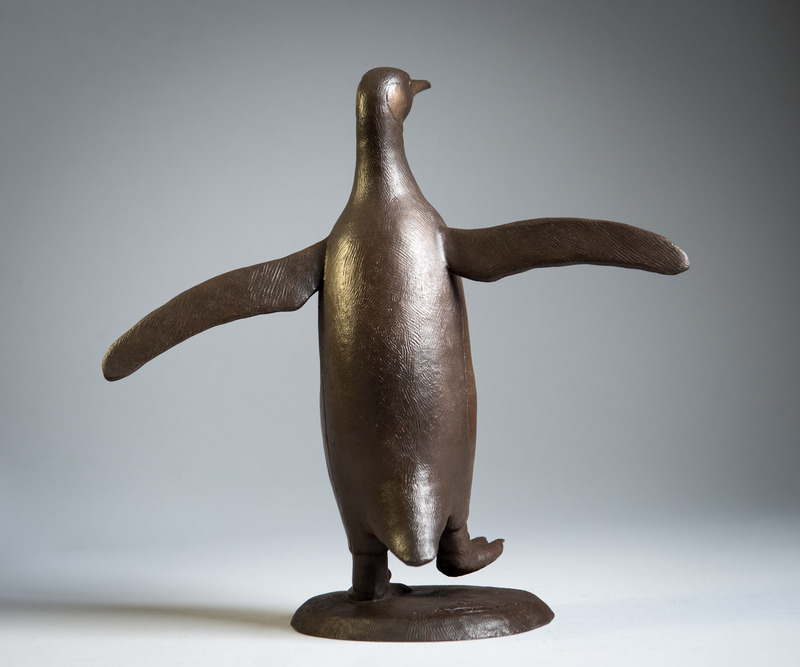 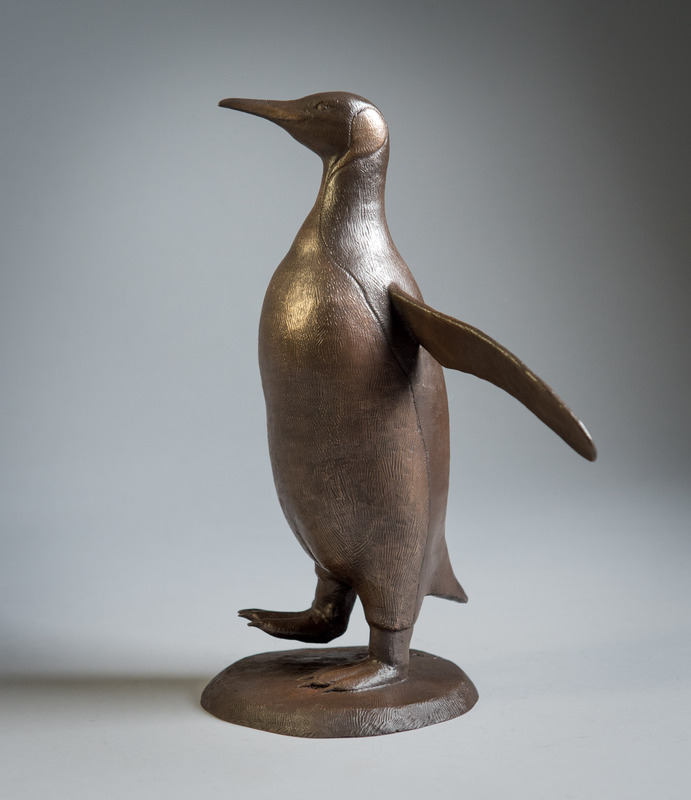 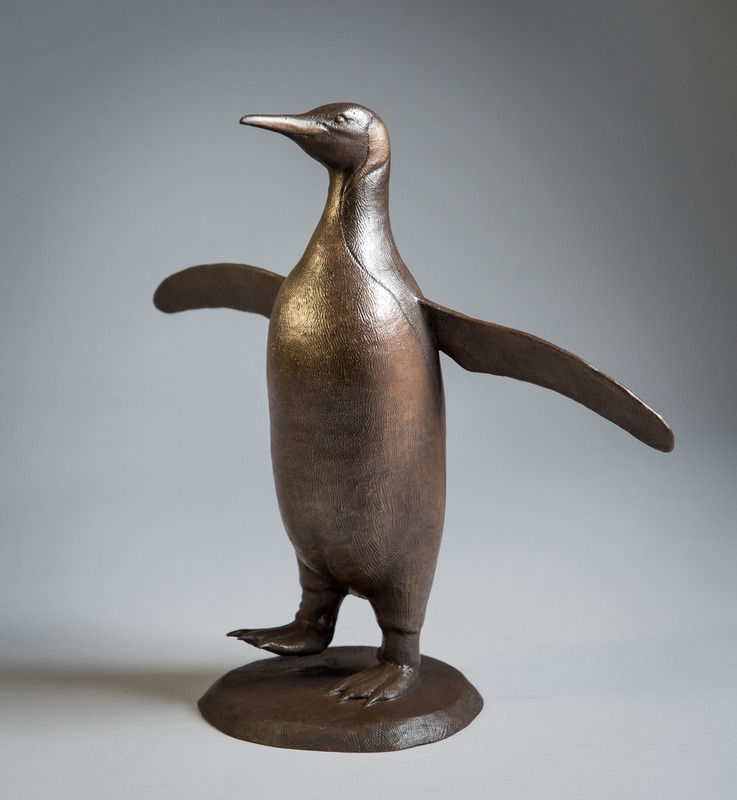 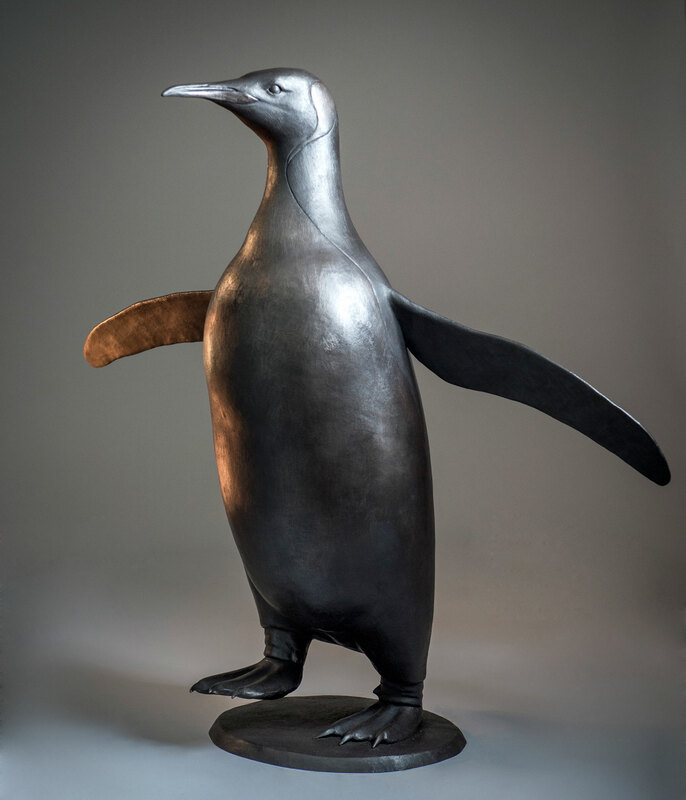 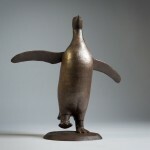 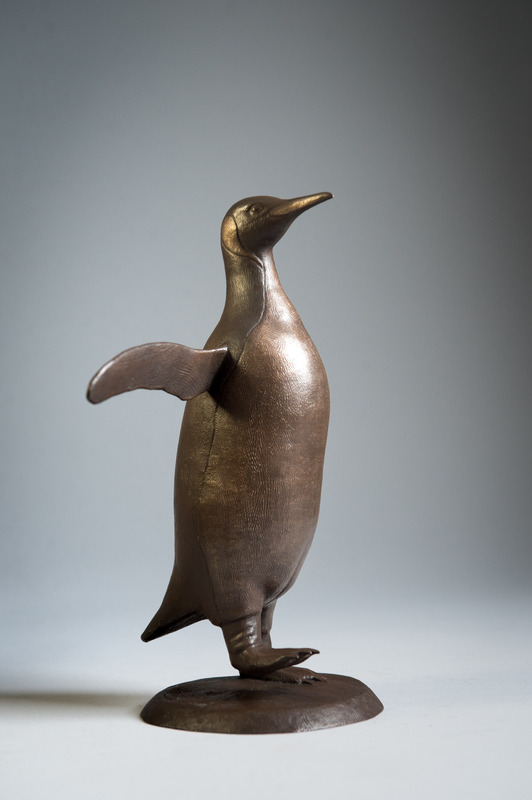 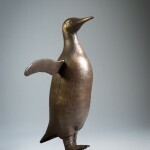 Please note: An alternative patina, with a lighter brown for the naturally white and yellow parts of the penguin is also available on request. 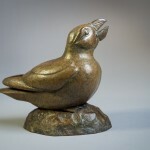 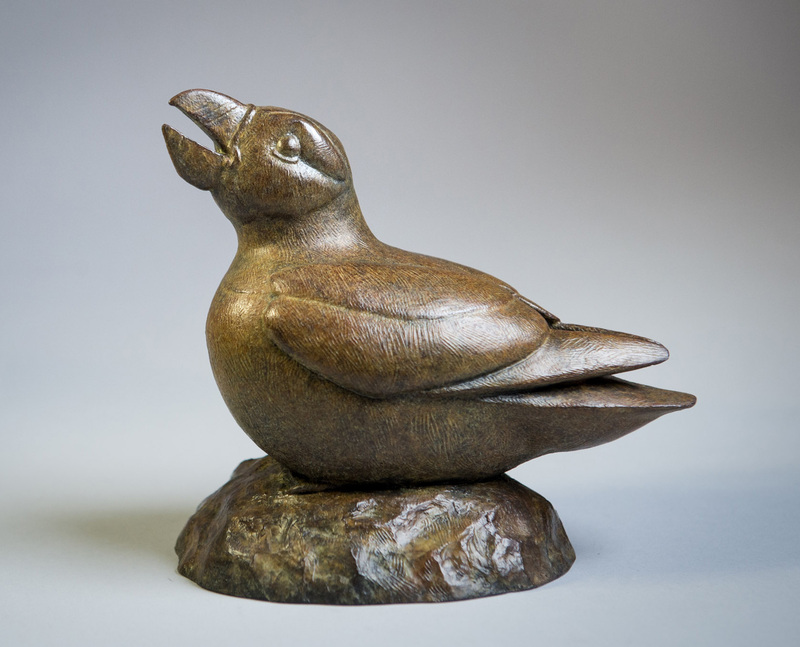 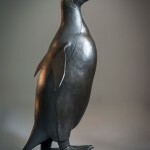 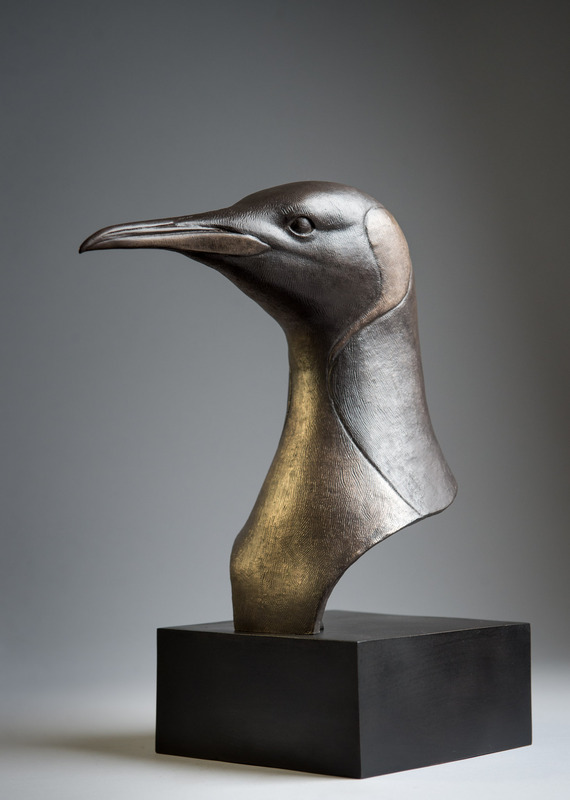 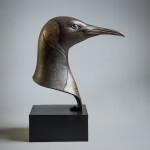 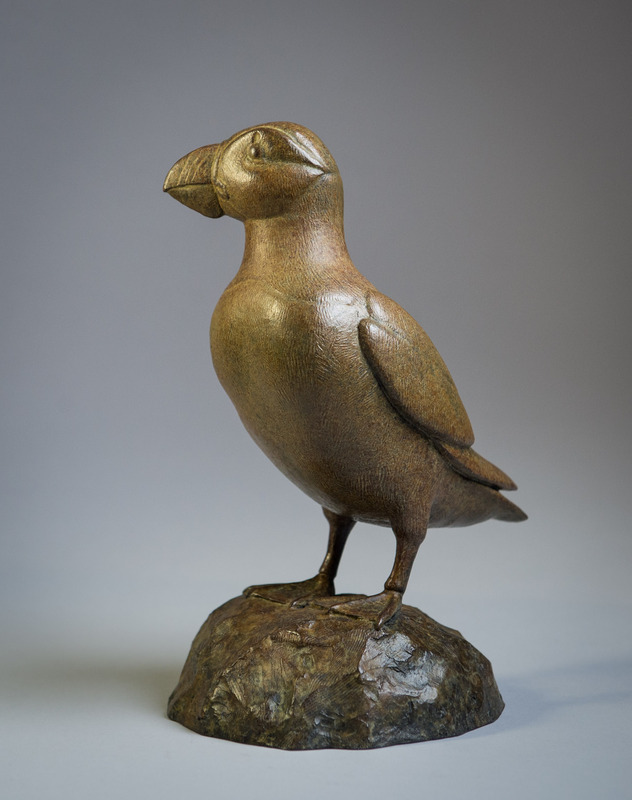 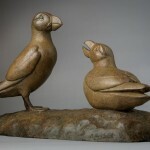 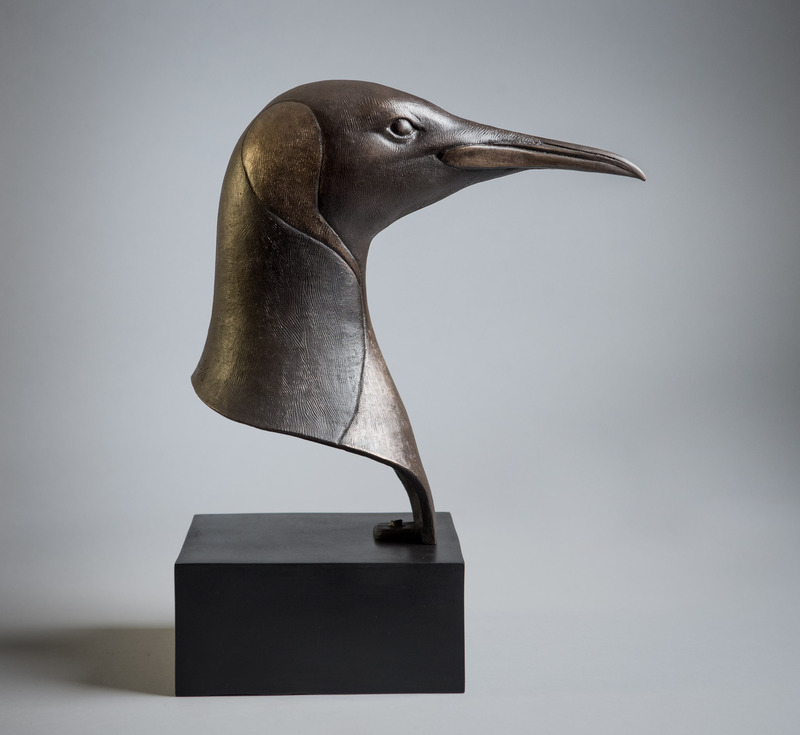 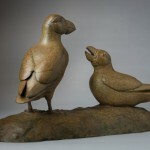 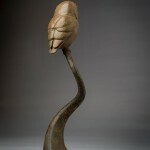 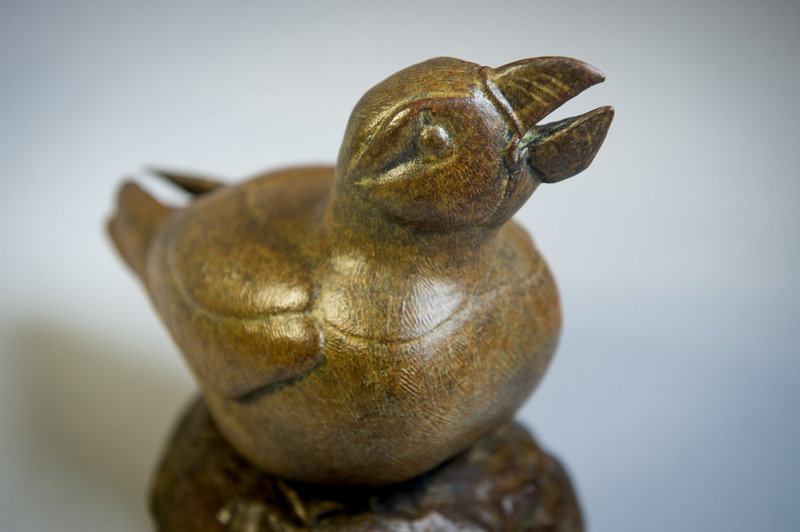 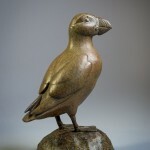 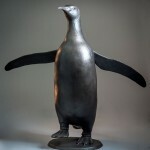 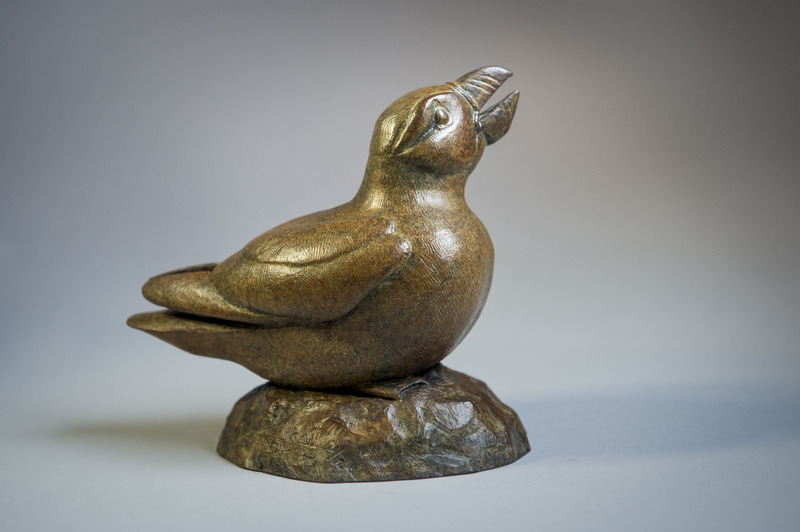 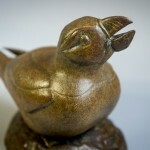 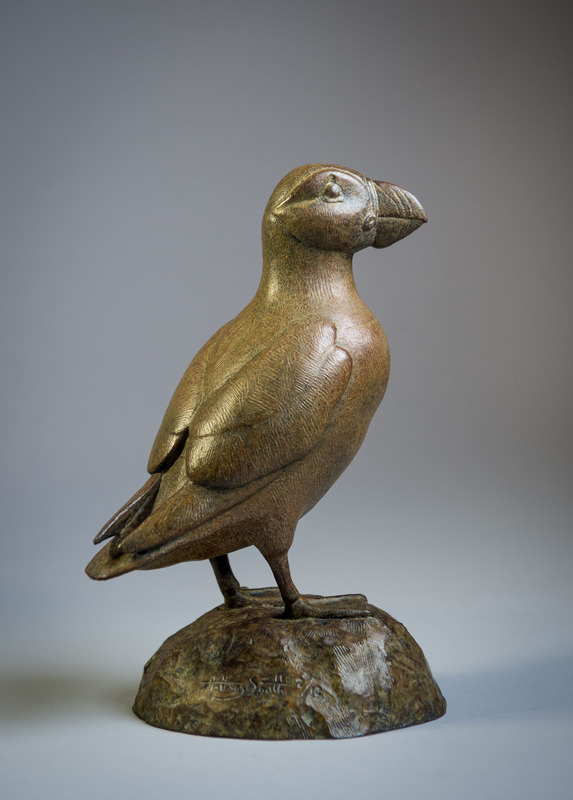 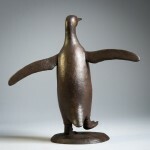 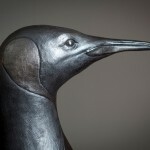 The puffins are also available as individual sculptures (price €2600). 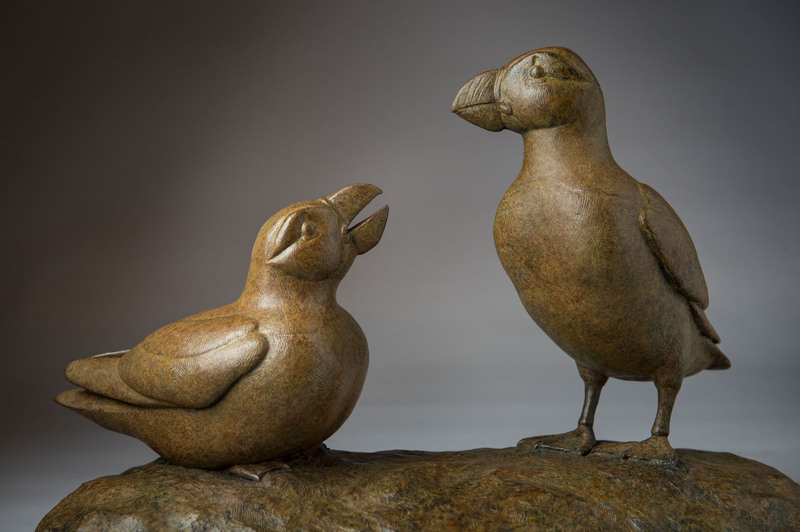 The puffins can also be purchased as separate pieces; ‘Standing Puffin’ and ‘Sitting Puffin’.